We’re onto the final artist interview for this series and we hope you have enjoyed reading these as much as we have had fun speaking to the passionate artists. If you haven’t read the previous ones yet, please take a look at them in our archives. 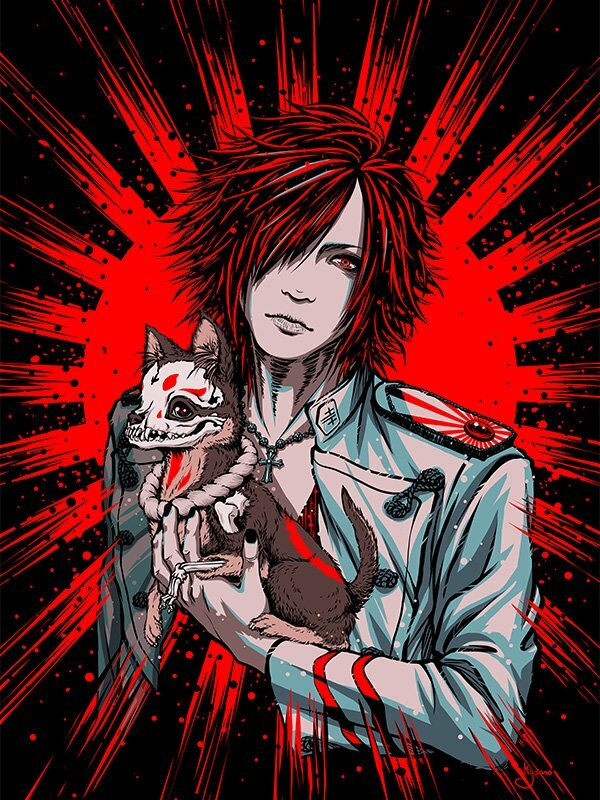 For our last interview, we’re talking to Mysano who has an amazing ability to merge mysterious fantasy ideas with our much loved Jrock artists into super creative works of art! 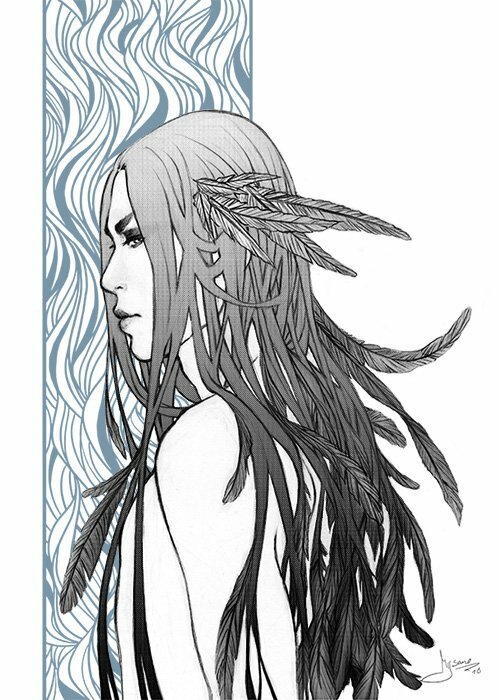 Featuring delicate skeletons, feathers, and magical eyes, the illustrations take drawing fanart to a new level. We’ll be talking to Mysano about her inspirations as an artist, the learning curve, and overcoming hurdles whilst following her passion. 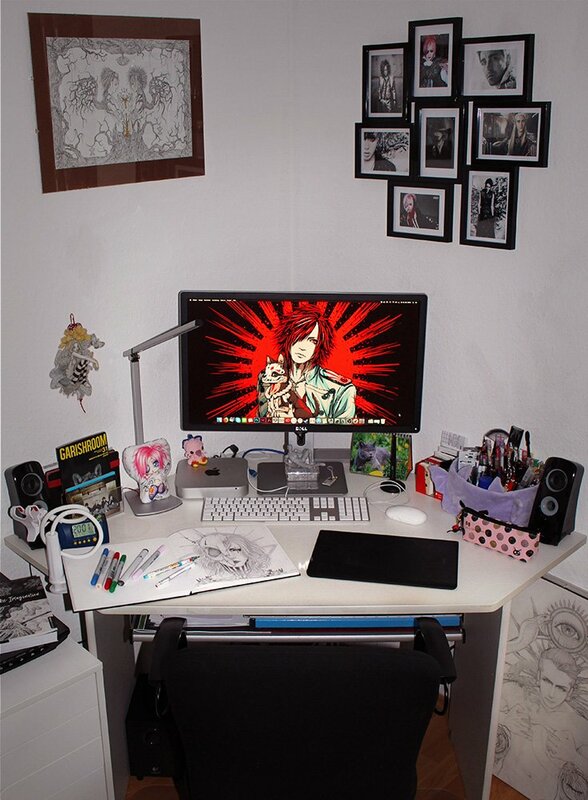 Hi, I’m Mysano, an illustrator and graphic designer from Germany. Glad to meet you! 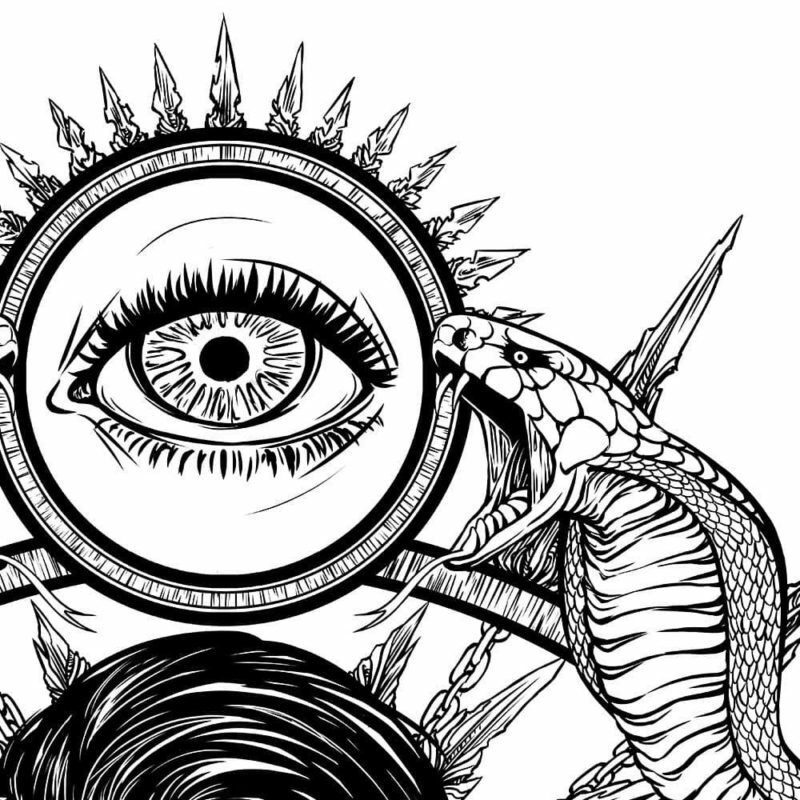 Nice to meet you too, can you tell us how you started your journey as an illustrator? I always liked to draw but started getting way more interested in it when I was 11 years old. During that time Pokémon and Digimon were becoming popular and I’ve copied and drew them. Shortly after I’ve started to create my own monster and character designs because I thought it was way more interesting. At the same time, friends and I were writing letters to each other every day in school—it made classes more fun and we were able to talk about things we loved and people we didn’t like. We turned the different sites of our personality into many strange characters and drew short stories about our daily life in school. So drawing became more and more a part of my daily life and I wanted to get better at it. Later on, I bought anatomy and drawing books with my pocket money and continued learning and practicing because my ultimate goal was to be able to draw people in a realistic style—back then I thought it would be super cool and that it’s the ultimate skill of an illustrator. What’s your favorite piece out of all your drawings at the moment? 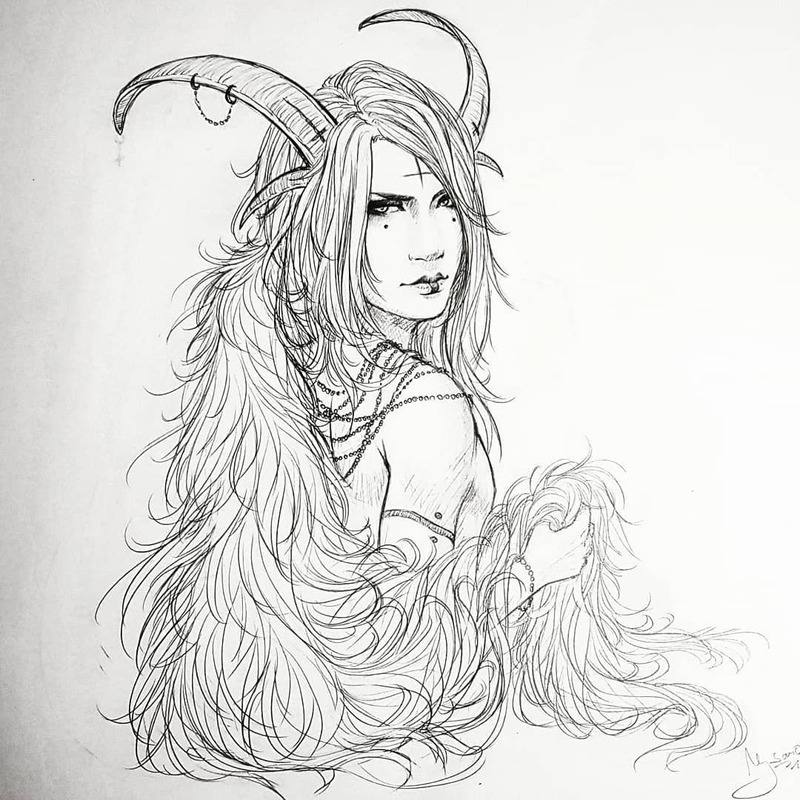 My current favorite piece is this drawing of Ruki and Koron. It represents something like a milestone for me. Over the years I wished to finally make an artwork which is worth being printed on a shirt and which would make me proud. I wanted to dedicate this important work to someone I deeply respect and appreciate. 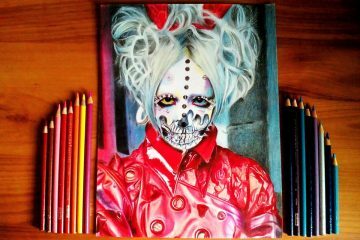 This person is the GazettE’s vocalist Ruki. I think he doesn’t know how much he’s affecting my career as an artist but I’m very thankful and so I made my very first shirt a present for him. 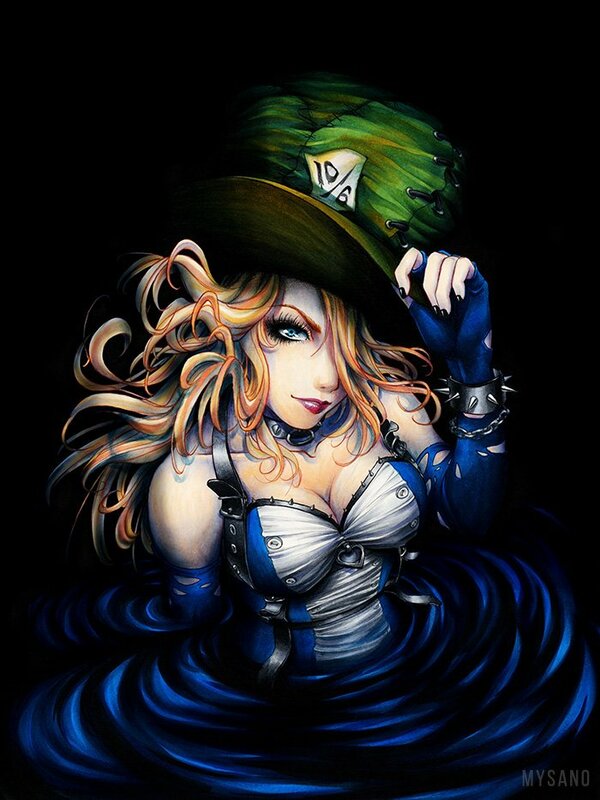 My second favorite is this drawing of a very rebellious Alice. 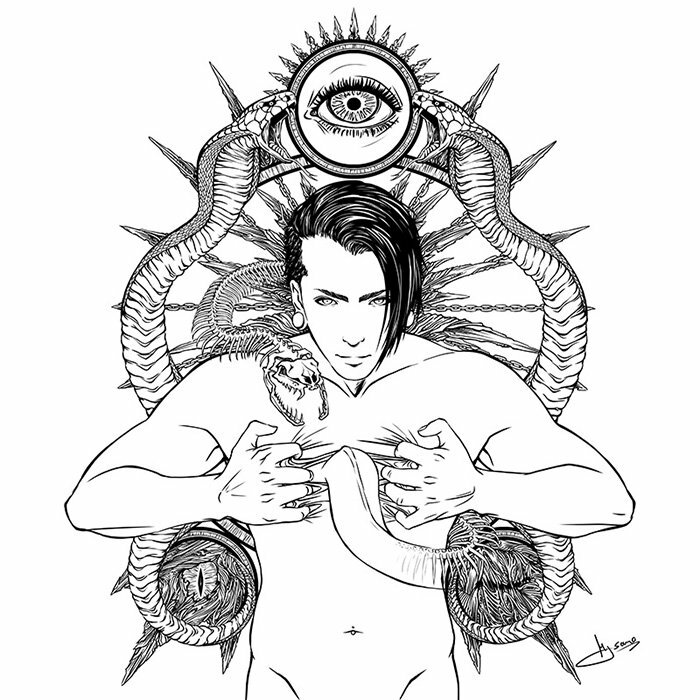 This was a requested artwork for CHASING ALICE, a band from Australia who asked me to design the cover of their first album and used this drawing for some merchandise too. I’m still feeling very honored about this project and of course, hope to collaborate with more bands and creative people in future! 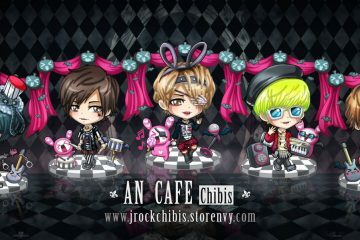 The third favorite artwork of mine is a chibi version of Mejibray’s Koichi. His whole appearance and style was so inspiring to me that I couldn’t resist and had to draw him very often. He just makes the perfect model for male and female, cute and elegant. Your work really do show off your passion for your craft. 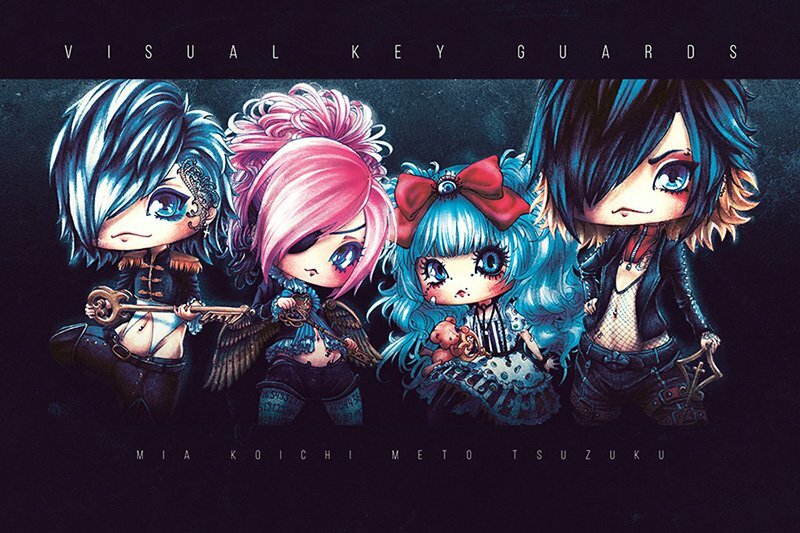 So how did you get into Jrock music? When I was 16 years old I’ve learned about Jrock. 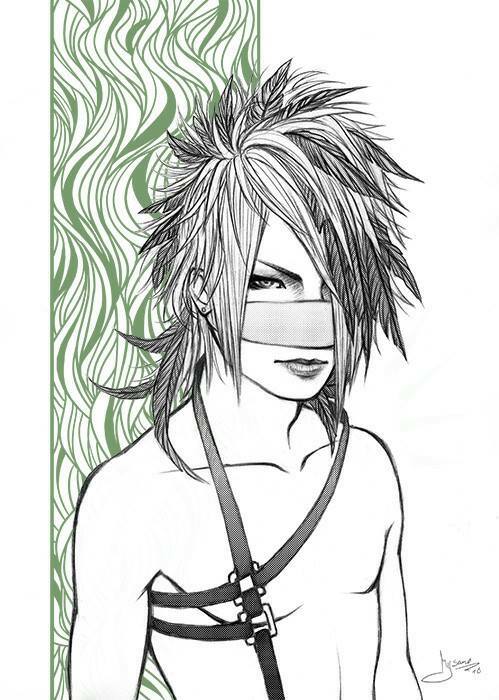 I was already into drawing in manga style and published my works at a famous German scene-website on the internet. There were many artists so I was constantly drawing, and got inspired by others and encouraged to get better. The most inspiring artworks for me where the ‘darker’ ones. 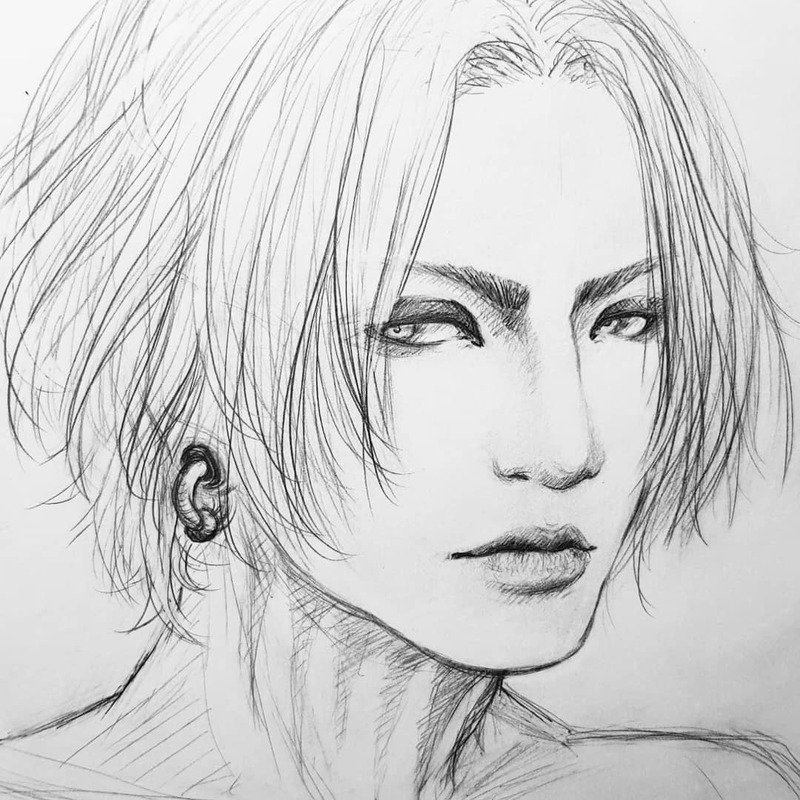 Some artist also wrote down in there comment section what music they were listening to while drawing and often I was reading band names like ‘the GazettE’, ‘Dir en grey’ or ‘D’espairsRay’. I got interested in what was so inspiring for these artists and while flipping through some German teenage magazines at a friend’s home I discovered an article about D’espairsRay. I thought: ‘Whoo, they’re looking so cool! And look at that hair! It’s like Manga but it’s real! Oh my god, it is real!! !’ So we checked the band out and also listened to some songs of the GazettE. The music was completely different to everything I’ve ever listened before. It was crazy and thrashy and dark and so exciting. I fell in love with their styles, the language, the voices: All of it was moving something deep within me and it inspired me so much. Back then and still today there are songs which let me see pictures and sometimes whole movies in my head, makes me all happy or even let me cry. 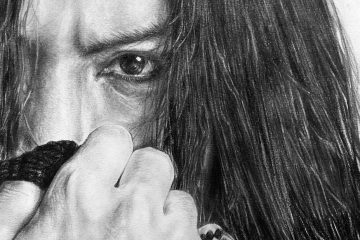 I was always influenced and touched by music because it carries a lot of emotions but J-Rock is the most inspiring genre to me. A lot of artists we’ve spoken to already mentioned having a rest or break to get out of an art block, is this the same for you too? It’s pretty hard to overcome an art block. I had one for about a year where I was nearly not drawing anything. In the first place, I didn’t have time to draw because I needed to study a lot. After some time I got pretty close to something that felt like a depression—I wasn’t able to concentrate well on my studies and felt the huge urge to be creative. But learning was important and so I had to forbid myself to draw. In the end, I ruined everything: I failed and quit university but still feared to take a pencil and draw. It took me half a year to restart again. 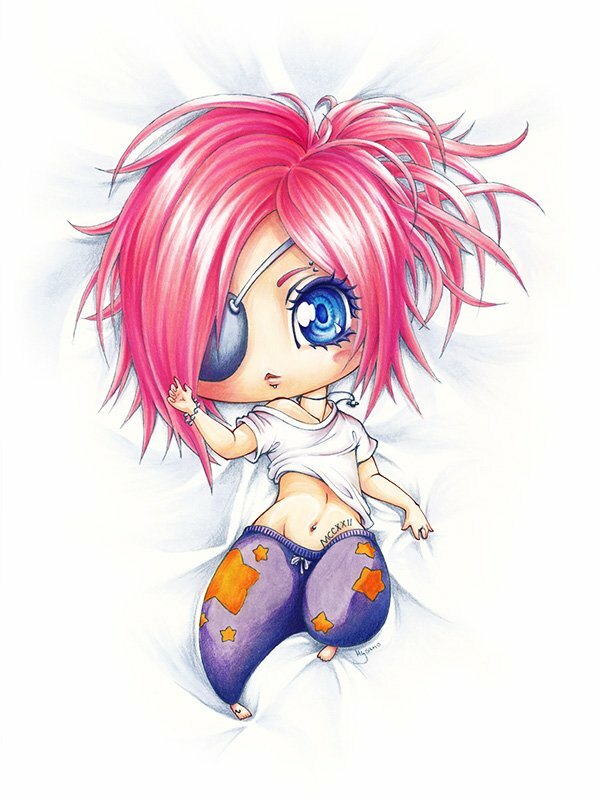 Chibis were a good opportunity to get back into drawing—They are easier than full figures and make fun. That’s what I’m still doing today to overcome an art block: Starting with basics and the easy things because quickly I’m feeling more motivated and can slowly increase the difficulty level to get better. We’re glad you overcame your block. In terms of inspiration, what inspires you to get creative? My greatest inspiration is music and emotions. It’s a little bit difficult for me to express my real thoughts and feelings so drawing is my way to do it. I really enjoy illustrating what I love the most or need to draw what is moving me—be it a song or a situation which evokes a special feeling. 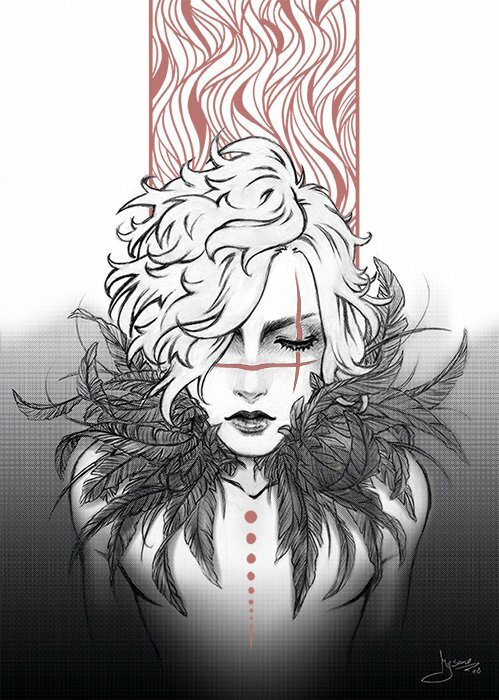 Many songs of my most favorite bands—the GazettE, D’espairsRay, NOCTURNAL BLOODLUST, Deluhi and Pay Money To my Pain—are carrying a lot of emotions I can relate to or even intensify them. That’s why I’m always listening to music while drawing. What was your process for improving your drawings? Like I already mentioned, I always wanted to draw in a more realistic way. Therefore I learned about anatomy, looked closely at photos of people, the way how other artists are drawing persons, took part in life-drawing sessions with real models and just practiced and still practicing drawing. Furthermore, I love to challenge myself. I don’t like staying in my comfort zone, it’s boring! So I’m always trying to push myself and want to get better and master the things which are difficult for me. Tell us about your favorite artists! 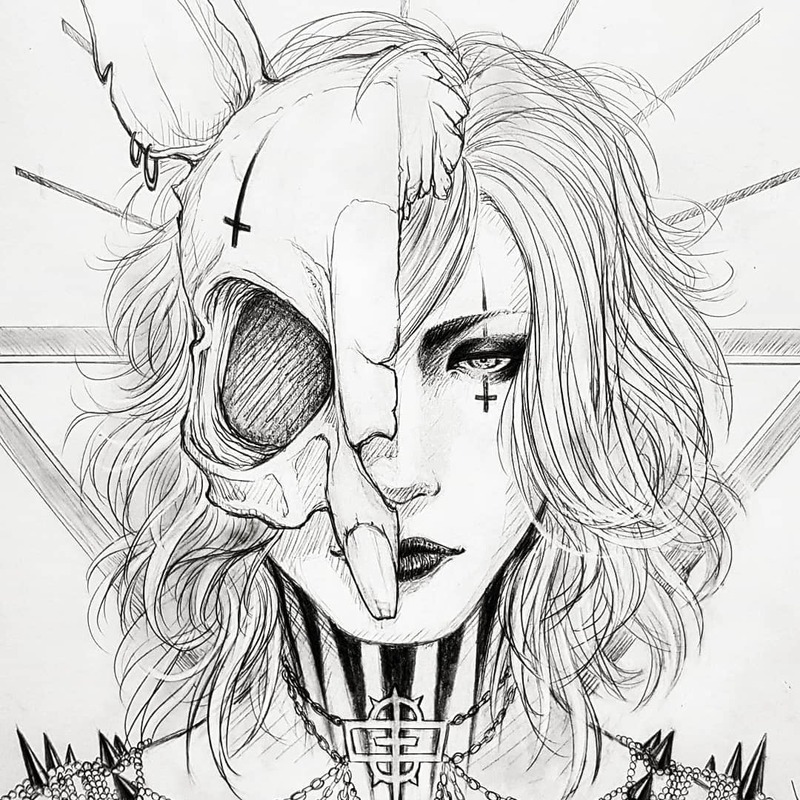 I really love the artworks of various artists like Kairi Shimotsuki, Ayami Kojima, Shin’ichi Sakamoto, Tim Burton, Mucha and many dark and tattoo artists. There are so many amazing art styles out there and every single one has something special to offer what makes you look at it more closely. I’m trying to learn from the different styles I like—I’m adapting elements and letting them influence my own art style. 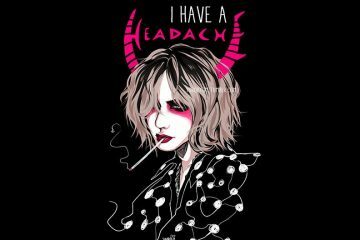 Nevertheless one of the most inspiring artists for me is definitely Ruki. It’s amazing that he’s a musician, vocalist, writer, and designer at the same time. Furthermore, I really respect him as a person because to me he seems to be very honest, observes closely the world around him and thinks deeply about it. I like that he’s trying to pick up trends and adopts them into his creations. To be honest I’m sometimes a little bit envious of him because he has so many skills and in past, he was living my dream of creating own merchandise. I wanted to create my own too and finally found the strength and self-confidence to do it. 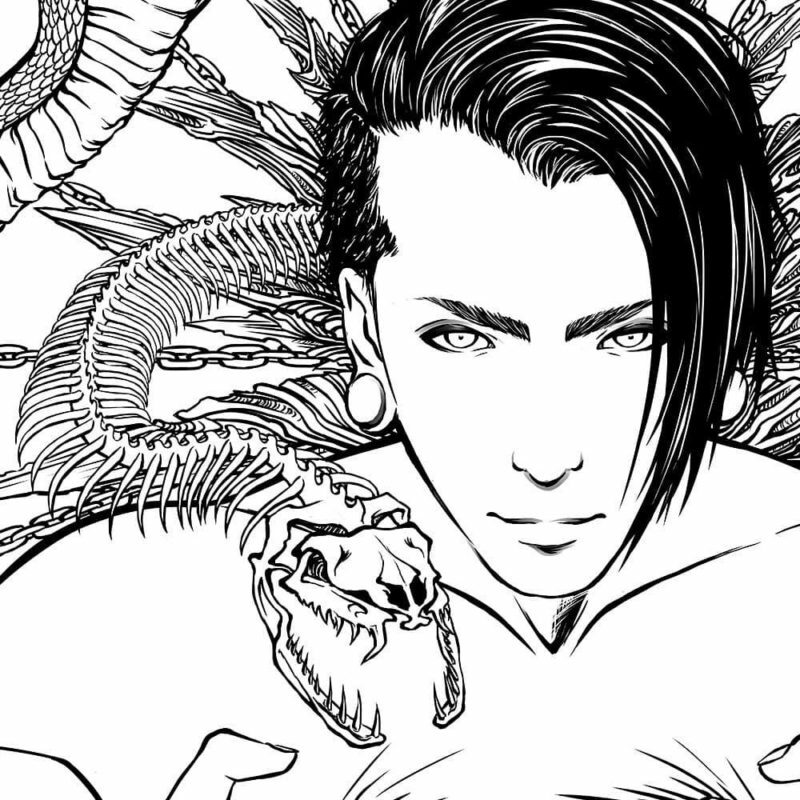 The second artist is KAgaMI who works as an illustrator for bands like NOCTURNAL BLOODLUST and BABYMETAL. The artworks do have typical elements of ‘Metal-band-artworks’ like flat-coloring, cell-shading and dark motives with bones and evil creatures but still having a connection to Japanese drawing style. I really like that combination. The third artist which inspires me to draw may sound a little bit unusual but she taught me to never give up—It is MADONNA. I grew up with her music and from the very first moment on it touched my heart. Even many people told her to give up on becoming a singer because she has a bad voice she never stopped following her dream. From time to time I’m struggling from self-doubts like every other artist. My habit is that I always want to please others and when people are saying very hurtful words or aren’t appreciating what I like and do it can be very discouraging for me and I start thinking about just quitting everything. That’s when I’m thinking about her and the obstacles she overcame. Then I’m realizing that everything I do, I do it for myself and that I want to follow my dream and not regret anything. We’d like to thank Mysano for sharing her story with us. 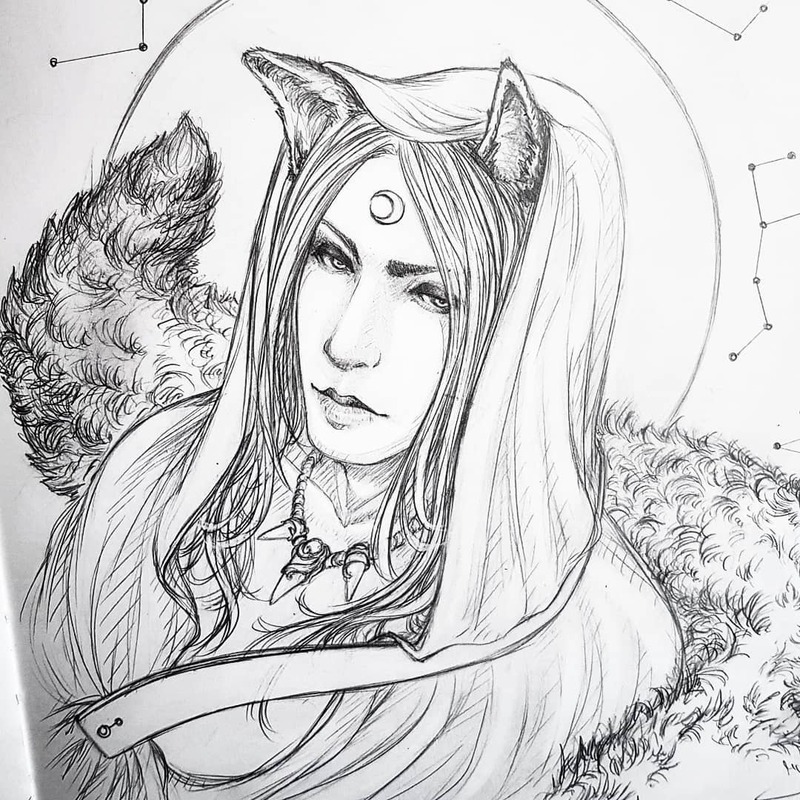 Make sure you follow her on Facebook, Instagram and also Twitter to see more of her work! If you like the drawings, Mysano sells the designs on an online shop so please check that out and support if you can! 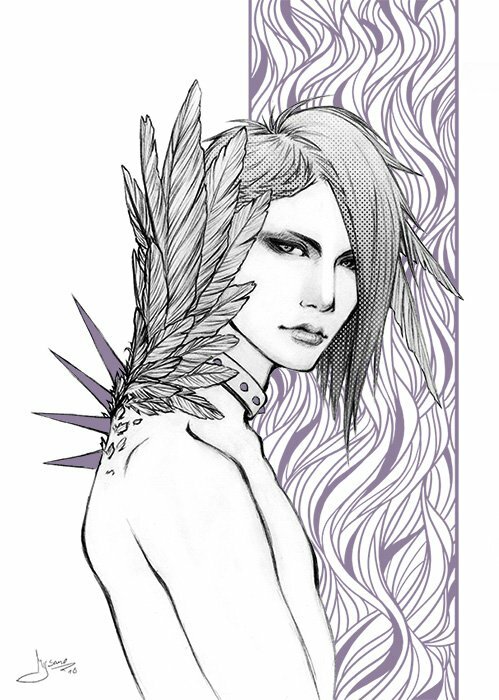 We hope you have been enjoying the interviews so far and if you know of any other talented Jrock illustrators, make sure to send us a link in the comments or email info@jrocknews.com for us to check out!